We listen everywhere to save. Some of us becomes savvy savers but others still enjoy shopping and spending on items which make them happy. Saving goals can be accomplished only by having saving mindset. Otherwise it is difficult to concentrate on growing your wealth in this world of so much distractions. I think meditating for money is also required now. When we read spiritual scriptures, they say that money is the root of all evil. But I think if we don’t have money our thoughts are always concentrated on lack of money. Lack of money cannot make us happy. The only thing is that you don’t have to earn money by making anybody miserable. It should be legit. Increasing wealth is possible thorough either saving or increasing your earnings. If you cannot increase your earnings, look for the ways where you can save little bit of money. Small amounts add up to big amounts in the long run and will give you peace of mind. Having money in your savings for emergency helps in building your confidence. It is not a big amount and most of us can afford to save at-least 25 dollars. After one year you would have saved 1300 dollars. 25 dollars was not a big amount of money but 1300 dollars are.If you start adding 25 dollars to a compound interest account for certain amount of time, you will be surprised to know how much you have accumulated. You can check here. ASIC’S Moneysmart,calculator will help you in calculating your returns on your savings. I have calculated this using ASIC’s compound interest calculator. Suppose you are saving 25 dollars a week and you saved initially 1000 dollars in account. And then every week you add 25 dollars into your account. After 25 years : 67995 dollars. 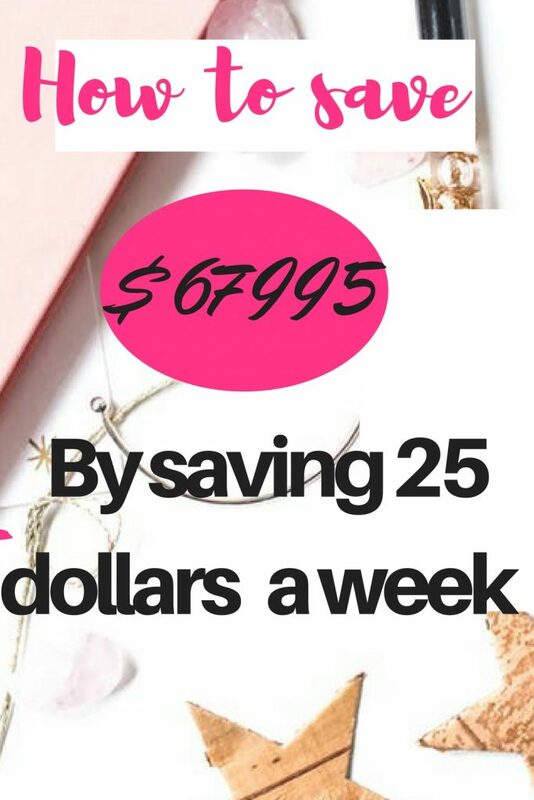 How can you squeeze 25 dollars a week from your weekly spending? It is easier than you think. If you are on a very tight budget , you can start with only few dollars. But if you feel like you could make it, do it. Suppose you buy a coffee for 3 dollars daily, skip it for five days and it comes out to be 15 dollars a week. Suppose you buy your lunch with say 4 dollars. In a week it comes out to be 20 dollars. Cook your lunch for two days at home , pack it and take it with you. I assume you don’t smoke. But if smoking is also included try to cut it little bit. See 25 dollars a week is not a big deal. I myself do it. I try to squeeze my 25 dollars from my grocery shopping. Curbing the temptation to buy a packet of chips, or those foods that don’t provide nutritional value, I could save 25 dollars to easily. Try to have reward cards from all the supermarkets and big retailers. It could save you some money . I started using my rewards card just 2 years ago. I was not very diligent in using my rewards cards. Only this year I got so serious about collecting my points. And you know what, I saved points worth of 75 dollars. So I bought my winter clothes from target with these 75 dollars. It gave me 3 weeks of my saving money. Otherwise it would have been wasted money. In Australia we could use same card for coles and target. All others also have reward cards which could make a difference in your saving plans. Doing surveys in your spare time could earn you some money. I don’t recommend investing your free time on surveys but the only time which you will waste here and there. Because surveys don’t pay huge amounts of money. But at the end, every penny counts. 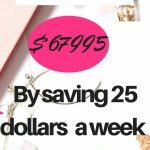 I will not go into detail as our goal was to save 25 dollars in a week. Which is possible through these simple changes. So it is possible to build a certain amount of wealth with 25 dollars a week. You will be richer by few thousand dollars than now. If you have other saving plans , you can use this money to travel or to buy something which is otherwise impossible. Or you can add in your retirement saving plan. Do whatever you wish to. Cheers. Happy saving. haha A.J Sefton, it is like this.